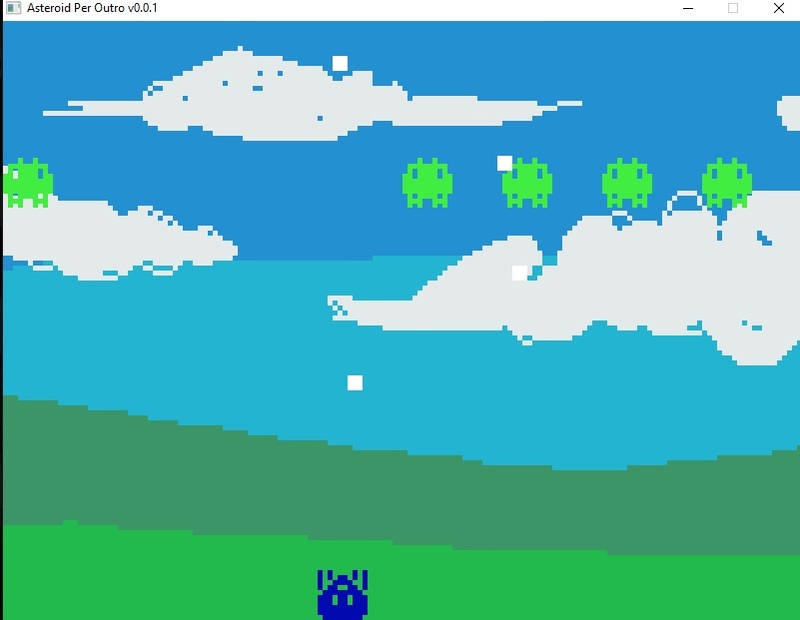 I made that little game to can working better with lua/love2d, my hope it is complete the project. I want you people tell what a add to the project and maybe tell me how i make something then complete the project. For I finishing: Some one tell me how I can restart the game in the end. Last edited by modog on Tue Mar 29, 2016 1:02 am, edited 1 time in total. modog wrote: I made that little game to can working better with lua/love2d, my hope it is complete the project. I want you people tell what a add to the project and maybe tell me how i make something then complete the project. For I finishing: Some one tell me how I can restart the game in the end. I made v0.0.2 by accident I just wanted to check the code to tell you a possible solution to restart the game, but I found some small bugs and I had to fix them. I also added waves. To restart the game I made a function which reset all vars. That's all. Also, the restart didn't work for me. It just does absolutely nothing. @Luke100000 Thanks mate! I played for see how looks now, but I don't see the code yet, I wanna see the code and try fix somethings, maybe adding effects on screen or in the characters. Replay not working because wrong key code used. A change related to latest version of Love. Ref wrote: Replay not working because wrong key code used. You should start using 0.10.1, there's pretty much no reason to stay behind. Nixola wrote: You should start using 0.10.1, there's pretty much no reason to stay behind. A lot of things have been changed and I need to update all my games. I'm too lazy to do that. Someday maybe. I just resolved that. I'm writing and testing something to adding the project, a some time I post here. Please, some one have a good place to learn better Love2D? - I try to adding particle system, but the particles dont show in the enemy place when enemy dies.